Therapy Associates, located in Passaic, New Jersey, was founded in January of 2002. 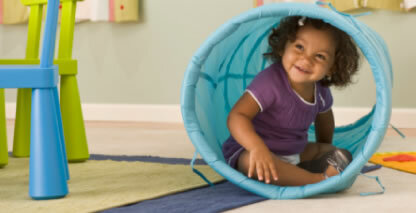 Our practitioners provide therapy to ­children of all ages. Our mission is to provide effective and supportive intervention by emphasizing cooperation between practitioners and family members, empowering families to contribute to their children’s development. We have more than 200 active therapists and have proudly provided high quality therapy services to thousands of children and families throughout northern New Jersey over the past decade. Therapy Associates’ practitioners provide comprehensive services to children ages 0–3 qualifying for early intervention services in the NJ Early Intervention System (NJEIS). This includes speech, physical and occupational therapy as well as developmental intervention, ABA therapy, social work and other supporting services. Therapy Associates currently provides services to hundreds of families in Passaic, Bergen, Essex and Hudson counties. If your child receives services from Therapy Associates, or if you are interested in having your child receive services, please contact us. Find out more about Early Intervention services. Therapy Associates Management Services LLC provides consulting services for school districts and educational and health care organizations. Consulting is focused on identifying areas relating to the provision of therapy (Speech, Occupational, Physical) and related health services in which significant cost savings can be achieved. Find out more about Therapy Associates Management services. Or contact Therapy Associates Management services. Therapy Associates ABA Services’ practitioners provide Applied Behavioral Analysis (ABA) programming and therapy to children of all ages on the autism spectrum. Services are provided by trained practitioners and programming and supervision is typically provided by Board Certified Behavior Analysts (BCBAs). Services can usually be provided through a child’s insurance. Therapy Associates ABA Services is an in-network approved provider for several insurance companies. Please contact us if you would like your child to receive services through your insurance company. If you are interested in your child receiving ABA services through your insurance company or school district, or for other assistance, contact Therapy Associates ABA Services. Find out more about ABA services. team members, to provide therapy, as well as other related services, including ABA, to fulfill IEPs for students. We are a NJ Department of Education approved agency. School Districts: Please contact us for more information.